South West Music School Applications for 2019-20 are open. Please find below download links for the application forms for the 2019-20 academic year and general information about the application process. We strongly advise you to download both guidance documents before beginning your application. Please complete this short top-up application form and send to applications@swms.org.uk. This top-up application form is for all students on every programme including the Composer and Core programmes. We open applications on an annual basis in the spring, with a deadline in May. Applicants apply for a place with SWMS for one academic year. Our academic years run from September – August. Once they have been with us for one year, students may stay with South West Music School up to the age of 18 yrs (and up to 20 yrs in some cases). This is dependent on them having met the expectations of the school. The application process is simple and consists of completing an application form and submitting alongside two recent contrasting recordings of you playing/singing, a musical reference, an equal opportunities form and a passport sized photo of yourself. Once we have assessed all applications, we select people to attend audition. We host four audition dates, aiming to cater to both the most southern and northern points of the region, but please note that travel will be required in most cases. If you are invited to audition we will send out plenty of information in advance so you know what to expect and what to prepare. Please don’t panic – SWMS auditions are relaxed and friendly! We ask that all current students fill out a short “top-up” application to stay with South West Music School each year. Similarly, all current students except for those on the Core and Composer programmes are expected to audition annually. If you are interested in applying to the Composer programme, an application form must be completed and submitted alongside two contrasting scores you have written with accompanying recordings – either live or on Sibelius. A musical reference, a passport sized photo and an equal opportunities form must also be submitted. Composers must then attend an interview where a composition mentor will chat to you about your scores and your compositional interests, goals and inspirations. You must be a minimum of 13 years old to apply for the Composer programme. So long as you are aged 8 – 17 years (13-17 years for Composer programme), live in the South West of England and have a passion and talent for music or composition then you are able to apply. We work with students up to the age of 20 but cannot accept new applications from those who are already 18 years or older. Please contact the office if you require more information on this. We work with students from all walks of life who have a variety of different musical backgrounds. Some students follow the traditional route of working through grades whilst some have never sat a grade in their life and are predominantly self taught. Similarly, some students specialise in classical music, some in rock and pop, some in jazz and some in reggae – whatever your musical interest, we would love to hear from you. Am I applying for a particular programme? No. 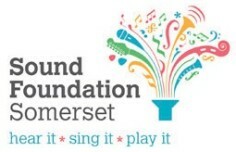 South West Music School will offer each successful applicant a programme place based on the assessors’ collective verdict of which programme the applicant is best suited for. Information on our fees can be found on our about page. I’m part of a band / ensemble – can we apply as a group? We accept applications from individuals only. We would encourage all band members to apply as individuals if they are interested in doing so. What kind of musical reference do I have to submit as part of my application? A musical reference can be from anyone who knows you musically. That may be a regular music tutor, the Head of Music at your school or college or someone you have worked with on a music project. We are looking for a reference from anyone who can vouch for your commitment, enthusiasm, dedication and talent for music. All references need to come from adults that are not related to the applicant. What do you mean by ‘two contrasting recordings’? We are looking for the range of talent you can demonstrate from the recordings you submit. Many of our students play more than one instrument, or some play an instrument and also sing. If this is the case for you, we would like to receive a recording for each instrument. We would also like the recordings to differ in style to one another – for example, one jazz piece and one classical piece. What format should my recordings be sent in? We require all recordings to firstly be hosted on a website (e.g YouTube or SoundCloud). Once this has been done, recording links can be copied and pasted into two boxes provided on the application form. When will I know if I’ve been successful? The applications closing date is usually some time in mid May. We respond to every application within two weeks, regardless of whether we will be offering an audition/interview or not. Instrumentalists auditions and Composer interviews take place in June. We will send letters to all auditioned applicants by the latest of the first week of July. I’m interested in the Composer programme – what happens after I apply? If you are successful with your application, you will be invited to attend an interview. Interviews differ to the auditions that instrumentalists attend as there is no performance element to the day. As the Composer Programme is smaller than our instrumental programmes, we only decide upon venues once we know the geographical spread of the applicants. Further information on venue locations will be given to successful applicants nearer the time. What happens if I’m successful at audition/interview? Congratulations! The next step involves your official enrolment to South West Music School. After some paperwork has been completed, you will be sent the handbook for the year which gives you all you need to know on what SWMS will be offering you for the year including dates, times and other useful info. If you are an Enhanced Foundation, Performance Development, Core or Composer student you will be assigned a mentor and given further information on how the mentor/student relationship works. If you have questions at any point, the office team will be on hand to help out. You can find contact details for us here. Can I apply again if I am unsuccessful? Yes, we very much welcome students to apply again each year if they are unsuccessful with their application or audition. If you are unsuccessful it may be that we don’t feel as though you are yet ready to be part of SWMS, but we recognise a year can make an awful lot of difference to your musical development – so please do re-apply.